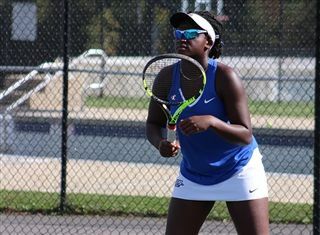 Sophomore Mayjah Jean-Pierre was named a 2018 girls' tennis player to watch by NJ.com! She is coming off a phenomenal freshman season as she won the Prep B first singles title and advanced to the Somerset County Tournament final. She also made it to the fourth round of the state singles tournament. Mayjah looks to help a talented squad win its eighth straight Skyland Conference title this fall. Go Knights!